We are your local authority in heating and cooling system installation and service. Find out more about our home heating and cooling services, such as our furnace repairs and boiler repairs. 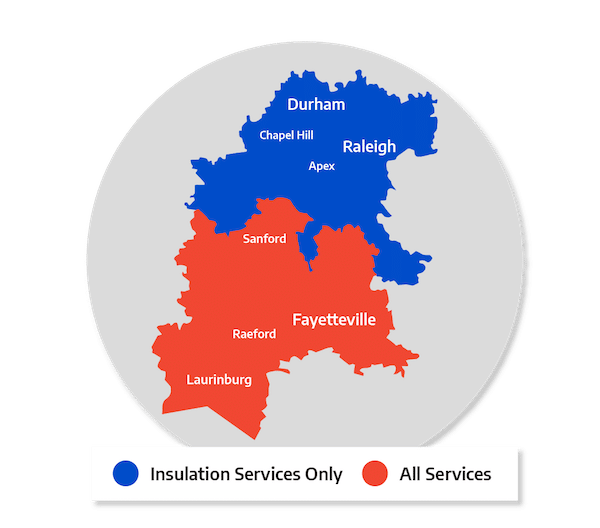 Contact us with any questions and to schedule your free estimate for a heater installation or heating system replacement in Pinehurst, Southern Pines, Aberdeen, Garner, Apex, Fayetteville, Chapel Hill, Fuquay Varina, Fort Bragg, Durham, and the nearby area. We offer many varieties of home heating including heat pumps and boilers, forced air, radiant, oil, natural gas and propane gas heating in North Carolina. Comfort Services, Inc. can service your heating system to ensure maximum efficiency. We will also provide a free quote for replacing an old, inefficient heating system with a state-of-the-art system that will save money and improve comfort. Contact us today to schedule an appointment for heating installation or replacement. Different programmable thermostat models allow you to store HVAC system settings for weekdays, weekends, or even different settings for each day. Comfort Services, Inc. can select the model that best suits your HVAC system and your lifestyle. Contact us today for an estimate for home heating repair, installation or replacement! We are your trusted HVAC contractor in Southern Pines, Aberdeen, Pinehurst, Chapel Hill, Garner, Apex, Durham, Fuquay Varina, Fort Bragg, Fayetteville and all nearby areas. As your local heating and cooling company, we provide professional installations of home heating systems, as well as boiler and furnace repairs. We also provide a home energy audit to identify those causes of discomfort and energy issues within your home.